A young married couple discovers that God has His own surprising plans as they face an unexpected pregnancy and Dad not getting into ay doctoral schools. Will their brand new marriage survive the shock and loud pelting of golf balls on the windows? This year Dad is accepted to doctoral schools, but which will he choose? He must decide between attending an American university (fully funded) or following God’s leading to schools that have little funding and are an ocean away from family and friends. This year finds the family in a community of new friends in the wild, rugged beauty of Scotland. Dad begins his doctorate, but just as they are settling in, unanticipated news makes it clear that another move is on the horizon. Did Mom and Dad make a mistake in bringing their family to Oxford for Dad’s studies? Dad is exquisitely happy wearing flowing black robes at the University, but their housing situation is so difficult Mom is not sure she can manage. During Mom’s second pregnancy doctors are convinced that something is wrong, yet she feels that the baby is healthy. When the baby is ready to be born, the midwife, the doula, nor the paramedics arrive in time. Will they welcome another member into their family safely? With two healthy boys, the family settles into a new home in another new country. The eldest son works hard to learn enough German to participate in school. Mom finds her way through a new city on public transportation in German with two little ones. She struggles to know how to support her eldest son who is floundering amidst all the transitions. Dad finishes his doctorate, finds work at the university, and spends many months applying to jobs. Uncertainty about the future weighs heavily upon them all . . . .
After holding their breaths through over 50 applications, the whole family rejoices when Dad receives a post-doc in Oxford. Three years in one place! What a tremendously gracious gift. During this time of stability, Mom and Dad hope to thoughtfully and purposefully prepare for whatever God has next for them. Dad begins work as a missionary scholar and Mom and the boys enjoy their own set of new adventures. – Will we ever find real community? – How will we get our visas extended while we wait to hear about job applications? – Where is the money going to come from for tuition . . . rent . . . food? – What will we do if after this degree my husband cannot find any job? – Will I spend my next birthday in this country or a new one? – Will I get to keep my best friend or do I have to meet a new best friend next year? – Will we ever live near our grandmas and grandpas? Over the course of my time as a graduate wife, I have learned to hold my plans for our family very loosely. I have tried to stop myself from thinking that I am entitled to have advance notice about what will happen next. Sometimes when I pray, I try to visualize placing the things that I am gripping with white knuckles (like my desire for my sons to have stability and security) into God’s ready and open hands. I have to remind myself again and again that my fierce, protective love for my sons cannot compare to the strength of God’s love for them. I am learning that life is made of up of small moments, and that if I spend my time just waiting for the next phase to come, I run the risk of missing something in store for me in the here and now. I just started reading a book recommended by a friend called One Thousand Gifts: A Dare to Live Fully Right Where You Are. That is my prayer for each of us graduate wives: that amidst all the uncertainty we face, we could embrace the change and live fully right where we are. If you had to come up with a title for your graduate wife adventure, what would it be and why? 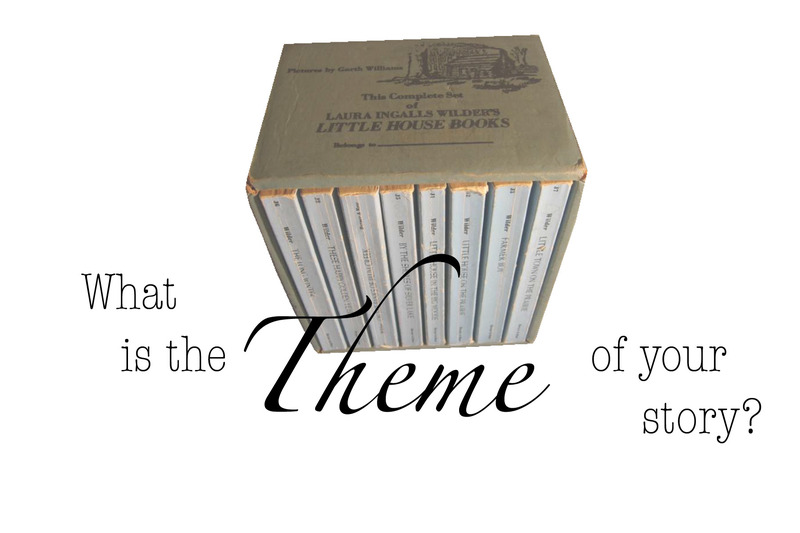 What would be the theme of your story?